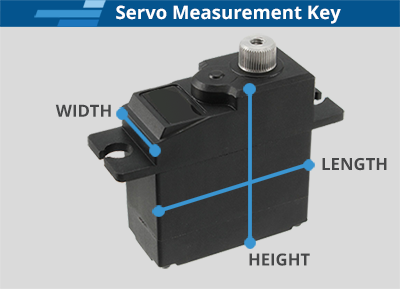 This servo is used on various Freewing jets. It can be used with other aircraft with compatible specifications (see below). Outstanding! Precise, strong, and durable. A lot of bang for the buck. I highly recommend this servo. I tested the sevo when I got it, worked smoothly. The price was good. Quality seems good. Just installing now into my balsa built plane. One disapointment is the size of the servo mount tab hole. It is very large, like it needs a grommet and bushing. But none in the box. I don't want a rubber mount as I am electric powered. I had to make brass bushing to use small srews and get a tight fit. Is there some kind of bushing kit you are supposed to buy? The original Elevator servo in my P-38 started jittering after many flights and I ordered another to replace it as a precaution. The new servo is operating smoothly and I feel confident that it will operate reliably for quite some time. I will be keeping a close eye on it though. I used the Freewing 17g Digital Metal Gear Servos to replace the servos that come in the plug and play package on my TechOne Revolution and TechOne Swift. On both planes the improved centering immediately improved the quality of flight. I wish there was a servo upgrade option on the bundle planes. Wouldn’t have needed a replacement servo if the one installed in the NIB SU-35 didn’t go bad after a single flight. Thankfully it packed in just before my second flight. Would have be catastrophic to have an elevator servo fail in flight. Hard to beat the quality and price of these servos and Motion RC delivering is the best. Smooth, quiet, and reliable. Freewing servos are my go-to for all my planes. works fine. have not flew plane yet.